Potter Lana Hobbs always loved making stuff with her hands. Even as a kid she was creating with clay, firing her youthful creations in the kitchen stove. About a decade ago, she took a pottery class at a community center that reignited her passion for making things with clay. Today, she teaches others about the joy of getting messy and creative with clay, while crafting her own distinctive designs. She displayed her talents for teaching, and making items of extraordinary beauty, on a recent Saturday morning at Birmingham’s Pepper Place, where she has just opened Thrive Clay Studio. Children rushed up following her public demonstration at Pepper Place’s weekly farmers market for their chance to turn a lump of mud into something cool on the potter’s wheel. “But I enjoy both,” Hobbs added, ever the diplomatic instructor. 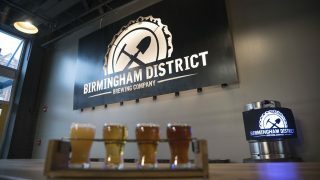 Thrive Clay Studio is an Alabama Maker shaping its place in Birmingham’s vibrant arts scene from Alabama NewsCenter on Vimeo. Hobbs landed at Pepper Place near downtown Birmingham after her shared workspace in the Bluff Park area of Hoover closed. She was already selling her pottery and clay art at the Saturday market and loved the area’s energy. “I believe cities thrive when they have places dedicated to play – space to create alone and to create in community.” Hence, the name of Hobbs’ studio, which serves as retail store, gallery and classroom. Hobbs’ style is clean and modern, although the state’s long legacy of clay-making also is an influence. 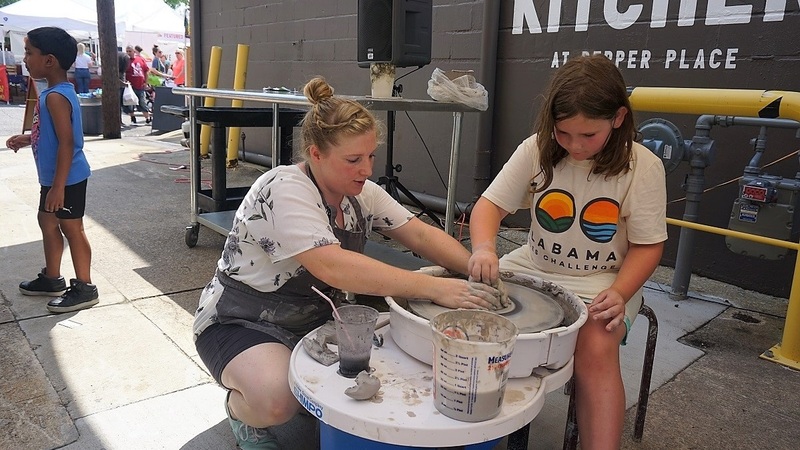 “There’s a rich history of traditional pottery in Alabama,” said the Atlanta native who earned a master’s degree in art education from the University of Montevallo. That tradition has rubbed off on some of her work, and it resonates with many of her clients. Still, Hobbs is loyal to her contemporary roots. “Modern surface design on an ancient art form is what I really love,” she said. Her style continues to evolve, reflecting the plasticity of her medium and what she absorbs from her students. The Product: Hand-made clay pottery, utensils, tiles and wall hangings. Also, pottery classes for adults and children. 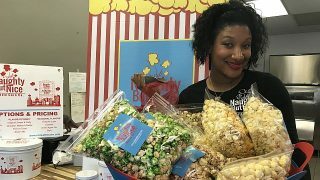 Making a great product and giving back to the community are key components of this Alabama Maker's sweet success.